Most everyone wants to live a healthy and happy life. However, many take no action in doing so. Living a healthy lifestyle isn’t just about staying fit and exercising here and there. It involves much more than that including cardio, strength training, and a healthy intake of fruits and vegetables. To obtain a healthy cardiovascular lifestyle, you will want to exercise 3-5 days a week for approximately 40-60 minutes. Cardio can include walking, jogging, running, bicycling, or stair climbing. For most women, spending time at their local women’s gym partaking in zumba classes and exercise workout routines is their most preferred means of getting cardio routines in their daily regimen. Others opt to walk or run in place while watching their favorite TV show. The key is making it enjoyable so you don’t dread a work out. If trying to shed those extra pounds, it’s important to recognize that you must burn more calories than you consume in any given day. Therefore, you want to keep track of your calorie intake to accurately track calories burned during a workout. Keep in mind that it takes 3,500 calories to burn one pound of fat. In order to build and/or tone muscles, strength and weight training is needed. Starting small, with 5lb weights, doing 10-12 reps and 2-3 sets in any movement will help you flaunt your muscles during the warmer months. Some studies have indicated that for each pound gained in muscle, you will burn approximately 35-50 calories a day. That equates to 175-250 calories burned in a day’s time for an additional 5 pounds of muscle. Starting healthy eating habits doesn’t have to be scary or overwhelming. The key to have a healthy diet is to have well-rounded nutritional foods incorporating several groups and not eliminating any of them. Living a healthy lifestyle is adapting the idea that it’s not just a diet, but a life change. Being a life change, don’t eliminate your favorite treats, as you won’t stay m motivated. It’s alright to include a piece of cake or ice-cream in your diet in moderation. You will also want to intake fruits, vegetables, grains, and legumes that are high in complex carbohydrates, fiber, vitamins, and minerals. Other food groups can be filled from dairy products, lean meat and poultry, and fish. Low-fat options in these categories will also improve your diet. 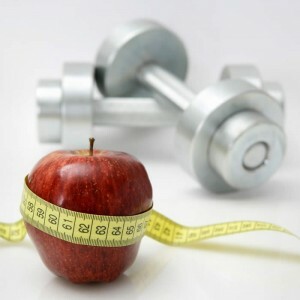 The most important piece to living a healthy lifestyle is to first establish attainable goals while keeping informed on the most up-to-date fitness and diet information. Lorna Horne is a freelance writer and blogger who provides health advice articles to one of the best Chicago gyms for women.